Researcher of the Year, microbiologist Melanie Jones. 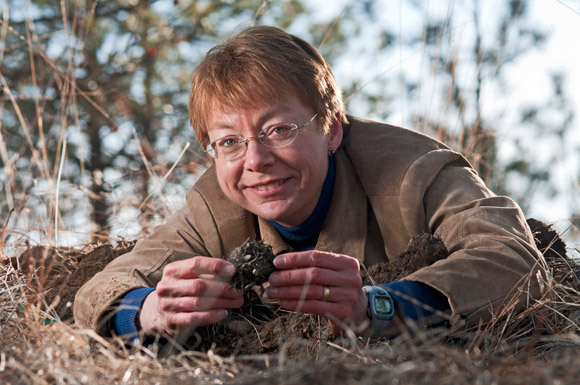 UBC microbiologist Melanie Jones has been named Researcher of the Year at UBC’s Okanagan campus. Jones has been a professor in biology since 1990, first at Okanagan University College and more recently with UBC. Her research focuses on the effect of various forestry practices on the diversity of ectomycorrhizal fungi in BC forests. These fungi live among the roots of woody plants and play a vital role in nutrient and carbon cycling in forest ecosystems. Jones’ most recent interest is in the physiological diversity of ectomycorrhizal fungi found in clearcuts and older forests. Jones served on the UBC Okanagan Research Task Force in 2004, and was Associate Dean of Research and Planning for the Irving K. Barber School of Arts and Sciences during the first three years after UBC opened its campus in Kelowna. “From the beginning, she has played a central role in helping the Okanagan campus develop into a comprehensive research institution,” noted Doug Owram, Deputy Vice Chancellor and Principal, in announcing the award Thursday night at the university’s Celebrate Research Week awards gala. Jones’ research has attracted more than $2 million in funding, and in 2007 she received a Natural Sciences and Engineering Research Council (NSERC) Discovery Accelerator Supplement grant, which is awarded only to the top three per cent of researchers across NSERC. Jones teaches plant physiology, field ecology of plants and soils, introductory ecology, and first-year biology. She is a member of the forest and mycorrhiza ecology and ecophysiology research group. The research awards gala was held at the Rotary Centre for the Arts in Kelowna, with CBC Radio Daybreak South host Marion Barschel serving as master of ceremonies. In addition to the Researcher of the Year award, more than two dozen researchers were recognized for earning major research awards in social sciences, humanities, natural sciences, engineering, and health during the past year. Carlos Teixeira, associate professor of geography, was honoured with the Public Education through Media Award for outstanding service to the university and the community by actively and creatively sharing his research expertise via the news media. 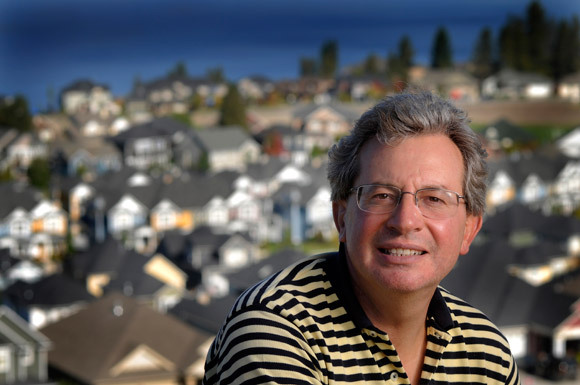 Teixeira is the priority leader for the "Housing and Neighbourhoods" domain of the national Metropolis project. His research focuses on migration processes, community formation, housing and neighbourhood change, ethnic entrepreneurship, and the social structure of Canadian cities. In February, Teixeira was involved with organizing the public BC Affordable Housing Research and Action Roundtable at UBC’s Okanagan campus. Human geographer Carlos Teixeira received the Public Education through Media Award from UBC’s Okanagan campus on Thursday night.